Sephora really is the beauty junkies' paradise. There are so many products to play with, you could spend days sampling and still not try everything. Since most of us don't have days, or even hours, to spend lost in the beautiful world that is Sephora, we did some digging to find out which beauty products should be on the shopping list of every Sephora junkie. Between the makeup, skincare, hair and body products, there's plenty to splurge on -- and (for the sake of our wallets) we need to come prepared. 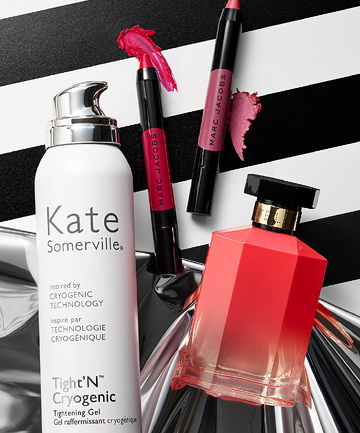 Here, we've created your very own Sephora shopping guide. The next time you find yourself in Sephora on the hunt for the best beauty products, pull out this trusty shopping list of the best beauty products at Sephora. I really like sephora. good article. A few items on here may make it to my shopping list! Sadly, there are a few products highlighted here that my local Sephora's don't carry. I doubt any of the Sephora's carry Shu Uemura anymore since they have stopped selling in the US. I agree with you Kim...the ladies at my Sephora are really rude. I prefer Ulta, just for the service. Pink Sugar Hair Perfume is so nice. I love these lists, but I hate clicking on each one individually. Ugh!